But of course sometimes there are the days where it doesn’t quite work out – he goes for an early morning Crossfit session, I’ve got somewhere to be first thing, we oversleep (oops) – in which case sadly we have to forego our little tradition. 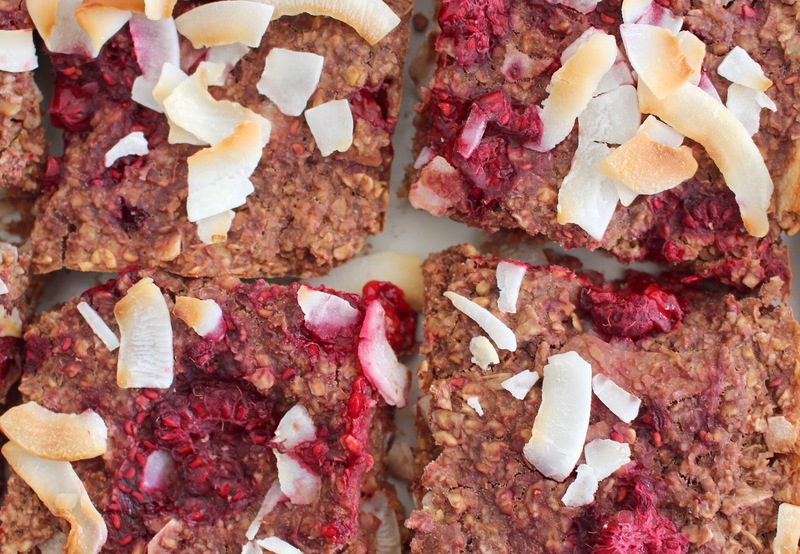 But luckily we don’t have to forego our porridge as thanks to this scrumptious recipe what we normally enjoy in a bowl we can enjoy just as much in a (much more portable) square. Phew! 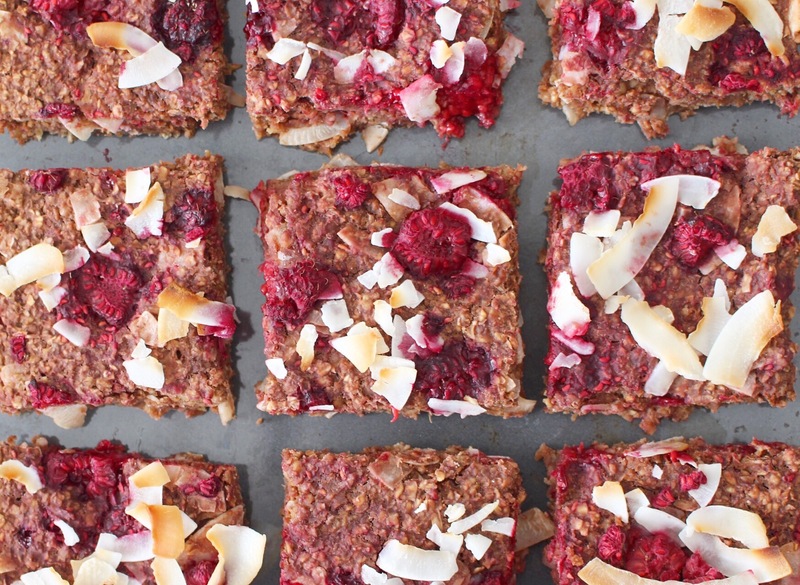 These chai, coconut and raspberry porridge squares are total lifesavers on those days where your morning routine doesn’t quite go to plan; they’re packed with oats for slow release energy, as well as antioxidant rich, low GI raspberries, and coconut flakes which are a great source of fibre. Oh and the cinnamon keeps you fuller for longer too. Plus they taste so yummy as well , how perfect is that? They only require a handful of ingredients and you don’t even need a food processor, just an old school mixing bowl and an oven. They’re super quick to make and you can make a big batch on the weekend to keep you going during the week. They’re such a staple now in our house, especially as we seem to have more of ‘those days’ than we’d like! In a mixing bowl, combine all the ingredients and stir well. Spoon the mixture into a small lined or greased baking tin or mould, spring the extra handful of coconut flakes on top and bake at 180 degrees for 15 minutes. Leave to cool and then cut into squares. Store any leftovers in an airtight container at room temperature. These sound super tasty! Can’t wait to try this recipe out!